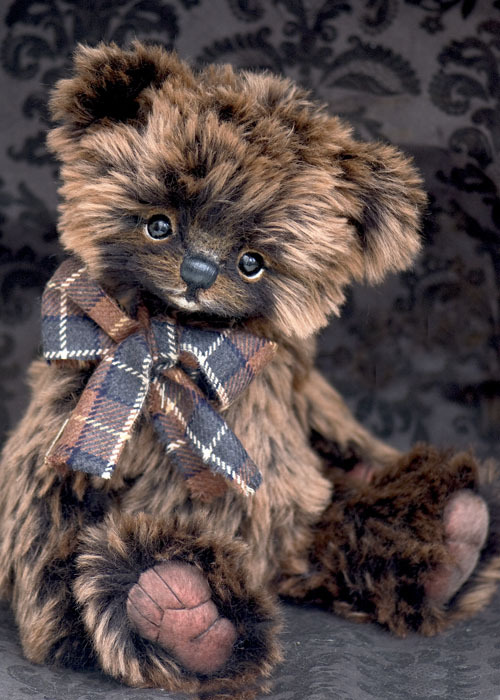 Three O'Clock Bears: Here's Raffles.. a gorgeous fluffy boy! Here's Raffles.. a gorgeous fluffy boy! Well for a change I have been doing a big bear. 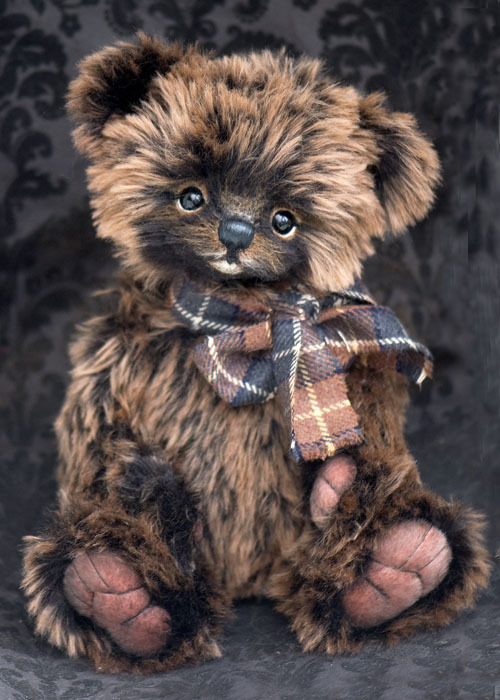 This one, who I named RAFFLES is made from some fabulous extra dense Schulte mohair in black/brown with a coppery tip. 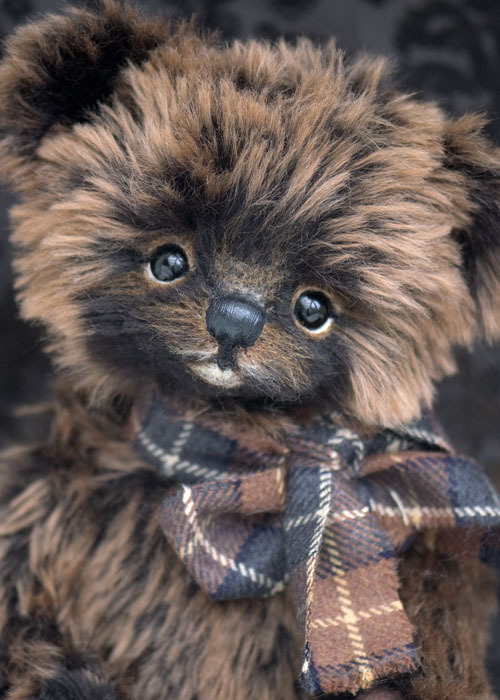 Its so scrummy I just couldnt wait to make a bear with it. 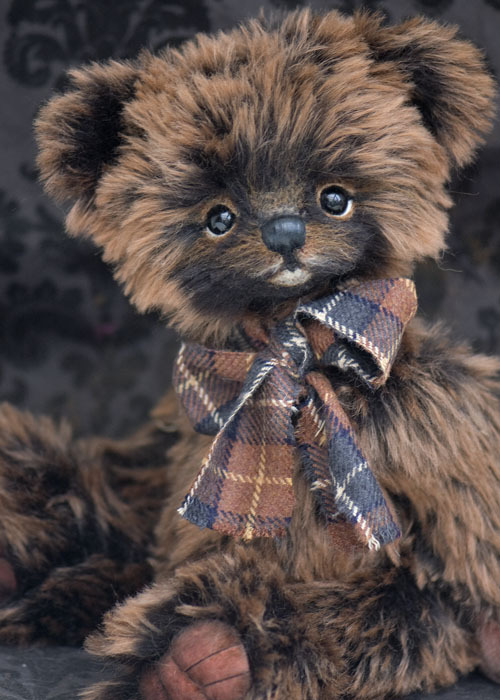 Although this not my biggest bear he has some serious eye detailing and a muzzle which I 'shaded' by adding various strands of merino wool in different colours to add interest and depth,. I also used a similar sculpting technique to create a wonderfully realistic almond eye shape making him very appealing. He has sculpted paw pads which I hand shaded and a lovely shiney nose which has been stitched and sealed. He's just short of 17 inches and is quite a bundle...he looks bigger due to the long luxurious mohair pile. He's available for adoption on a first come, first served basis. His adoption fee...including shipping is £495 and there is a PayPal button below. Please contact me by email if you have any question at all about this stunning bear. RAFFLES has now been adopted...Huge Thanks!